Thought we could use a little fun today, so I’ve scoured the internet for some fun design style quizzes. 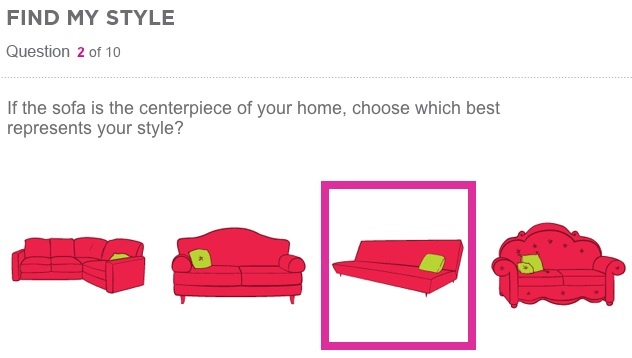 These design style quizzes are supposed to help you understand your own personal interior design style based on the choices you make in the quiz. You can take these quizzes as many times as you like and get different results. Maybe little too frilly for me, but interesting to see how there was such a big change in the results. What style did you get? Ummm, kinda. Although, I’m not huge fan of stucco walls or rustic finishes for our home. We tend to be a little more finished in our tastes. What results did you get? Such a different result from the previous quizzes. “Earthy” and “Modern” are not words I would ever chose to describe my personal style. I totally agree with the organizing part of this description, though, so they got that part of me perfectly. However, I do like ornamentation on furnishings. 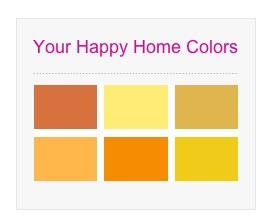 Also, I only like about half of the color choices, some of them just feel too orange for me. What answer did you get? This last quiz is just what it sounds like it is. Just click the picture above to get to the quiz. All of the Pottery Barn paints used in this 12 question quiz are discontinued, so the names really won’t feel familiar if you just got the latest PB catalog. I loved this quiz, even though I only got 80% correct. (The shame…) It just goes to show you that paint names can be interpreted to mean anything, so you shouldn’t ever get hung up on a name. Are you now craving ice cream, like me? Did any quiz define your design style perfectly? Did any of them get it so wrong you laughed out loud? I’ve shared my fun answers, now it’s your turn! Leave a comment! 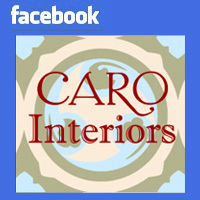 Posted on August 17, 2011, in Decor. Bookmark the permalink. 2 Comments. 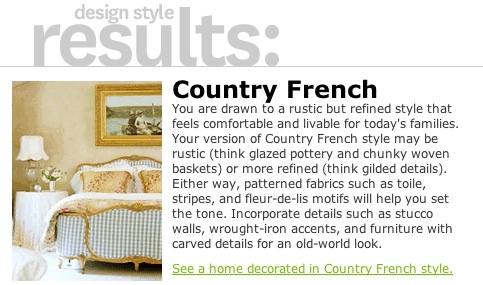 I got Elegance, Country French, Bohemian Modern, and 7 out of 12 correct on the Pottery Barn or Ben & Jerry’s quiz (58%). I don’t eat Ben & Jerry’s ice cream because I’m lactose intolerant, so I’m a little rusty on the names. 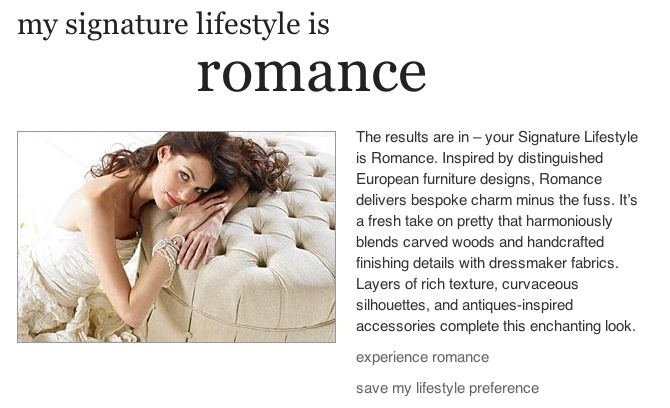 I don’t mind “Elegance”, but I wouldn’t consider myself country anything or Bohemian for that matter. I did like the color palette they suggested for Bohemian, though: navy, purple, lavender, aqua. They go well with my tastes. I guess that makes me Bohemian. 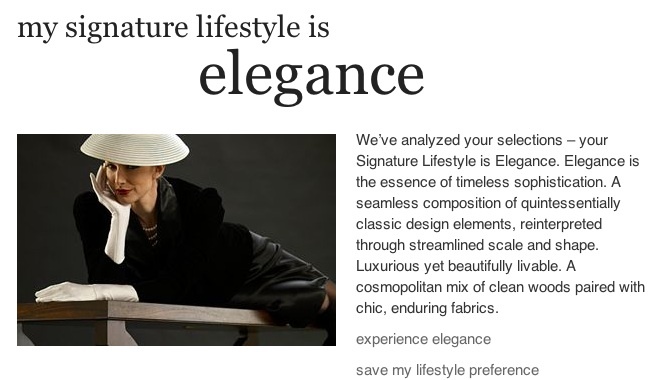 Ethan Allen figured my signature lifestyle is “Explorer”, a feeling of relaxed eclecticism and world travel. Home Goods came up with “Glamorous Classic”, employing rich materials and one-of-a-kind objects, w/happy home colors in warm reds. I didn’t do the one that wanted an email address. Pretty close, I’d say! 7 of 12 on the paint quiz.